MARKET Harborough’s station car park is being relocated in the first phase of work to realign the Midland Main Line and eliminate a severe speed restriction through the Leicestershire town. 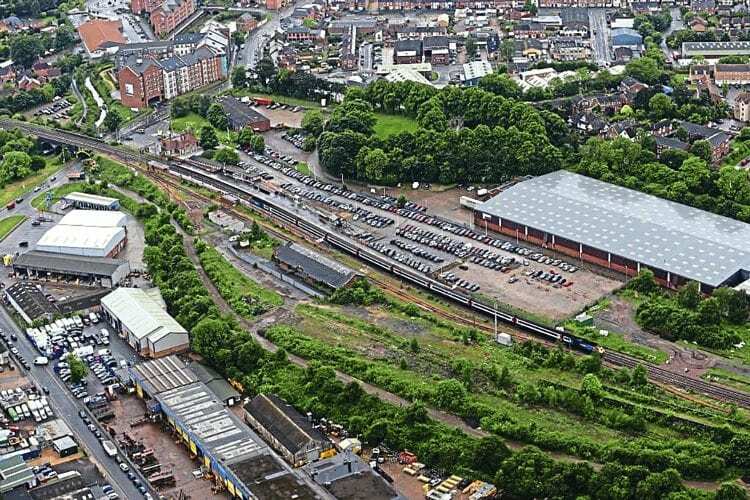 A new 500-space car park will be built east of the current site, releasing land required for the straightening of the double track MML and station platforms. The current car park is also prone to flooding. Rebuilding Market Harborough is one of Network Rail’s key projects to increase speeds and reduce journey times on the MML, which links London St Pancras with the East Midlands and South Yorkshire, ready for the introduction of electric trains. Work is currently underway to extend 25kV AC electrification from its current limit at Bedford to Kettering and Corby, and restore the Bedford-Kettering section to four tracks, by December 2019. Electrification onwards to Nottingham and Sheffield is scheduled for completion by December 2023.